Internet of Things and smart cities are being considered as the future of urban living and development. Here's Why and How.. The two are seen as the best options for making urban dwelling safer, reducing the levels of pollution and increasing energy efficiency for a better quality of life. The benefits of using IoT for planning and managing cities are immense and could be easily tapped by city planners and policymakers to consider a holistic approach in making life easy and convenient for future city dwellers. However, not everyone understands just how the two could be used to solve some of the biggest problems facing urban dwelling today. Below is a brief look at some of the specific ways IoT can be used to drive the future of smart city development. For the dream of smart cities to be realized, there will need to go beyond the installation of new Internet of Things devices. It will be imperative to develop new infrastructure, and also to update the existing ones to fit the ever increasing demands of the population. In the United Kingdom alone, it is estimated that the average drivers spend up to sixty hours every year just searching for a suitable place for parking. Internet of Things technology can be used to easily and conveniently stop this madness from happening. For example, if you are headed off to the stadium for a football match, your car can easily drop you at your desired location then look for a suitable place to park as it waits for you. For this to happen, it will be important to make major changes to car parks, roads, and connectivity and town centers among others. This is a subtle indication of how a smart city can operate and how IoT technology can be used for more efficiency and convenience. But for this to happen, the infrastructure has to be updated. It could be very expensive, but the benefits will worth every effort. Future planning of cities must be done today, and this is another area where IoT is being used to spur the growth of smart cities. It should be noted that updating the city’s infrastructure will take some considerable time and money, but that should never be a hindrance for the planning to start now. With estimates that 65% of the world’s population will be living in cities by 2050, there is no better time to think about updating and modernizing cities than now. Indeed, the city plan made about a decade ago may have not taken into consideration the aspect of smart buildings, or even automatic cars since these are a relatively new development. Tomorrow’s cities of the future will integrate traditional equipment like road barricades outfitted with sensors and other technology to help connect the network together to help improve efficiency and safety for everyone. 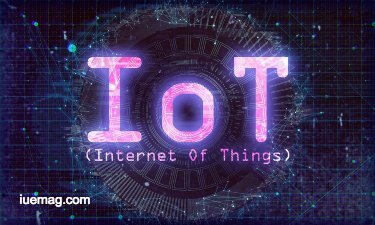 But with the IoT technology, planning for the future cities should be done in the smartest ways possible because it is easy to focus, use data and artificial intelligence to take into consideration all the possible scenarios that may be encountered in the future cities. This will also make it possible to have in place flexible technologies that will have the ability to adapt to the ever-changing needs of the modern cities. The planning of smart cities must feature strong abilities to predict future trends since this is the only way to have the contingency necessary to take care of the unknowns. In simple terms, city planners must keep up with the technology. When the internet was still at its infancy stages, the companies that predicted the new dawn become the biggest beneficiaries of the internet. For example, Google is now dominating the search engines, Facebook has no rival in the social media, and Amazon is the king when it comes to e-commerce. Leaders must not always have to come fast, but they definitely don’t have to come last. The same is also the case when it comes to predicting the future trends for smart cities using IoT technology. Internet of Things technology is vital for city planners to come up with the correct policies and infrastructure that will serve the future demands of the city dwellers. It is vital to have an idea of how future technology will impact people’s habits and how businesses will operate in the face of such new technologies and this is exactly what becomes possible when IoT technology is used for smart city development. IoT can be used in a myriad of ways to improve public services in future smart cities. Trials done in several places around the world has shown nothing but tremendous success how technology can improve the delivery as well as the efficiency of public services. A good example is in Copenhagen where sensors are used in garbage bins and sewers and also in London’s Greenwich where various kinds of sensors are being used to enhance the efficiency of the public infrastructure. The other place where IoT has been successful in improving the delivery of public services is in Buenos Aires where there is public wireless networks in the major parks, subways, museums, and bus stations to allow the masses to have access to the internet. These are just but a few subtle indications of the potential that IoT has when it comes to the future development of smart cities. Juniper Research in Barcelona is an excellent example of how IoT can be used with the smart city concept to produce green energy and save money. 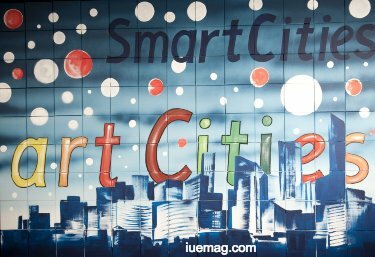 This research city in Barcelona has effectively used IoT technologies to improve its use of energy, water, and other vital city resources. For example, Barcelona’s Masterplan Lighting program fitted some 1,100 lamp posts with sensors such that the lights would go on when someone was in close proximity and would dim away when there was no one in the streets. The program increased the city’s energy efficiency by 30% which was an equivalent of $37 million in savings.